With just one week to go, we take a look at what – and what not – to expect from the Redmond camp. Last week we took a look at what Nintendo may or may not bring to table for their E3 showcase this year, and this week, we’re going green as we zero in on Microsoft and we can expect out of their camp. Microsoft has never pulled any punches at E3 and they’ve used the stage to make some pretty great announcements in the past. We’ve seen them unveil Project Natal, announce that Grand Theft Auto 4 was coming to the platform and show off the Xbox Slim for the first time. So what can you anticipate and look forward to as we approach this year’s big event? Here are the five things you can expect and the five things that you probably shouldn’t. There were a lot of people who were sceptical about the potential for Kinect’s success when the layers first started to peel off. Nintendo had a pretty firm grip on the casual market and Microsoft didn’t exactly seem like the best fit for it either. However, the Kinect has been a huge success for the company, selling out upon it’s launch and becoming a huge hit with a casual crowd that seems to want some variety away from Nintendo’s Wii system. 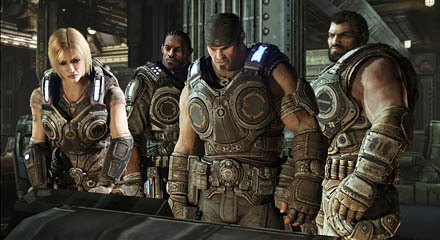 Microsoft won’t miss the opportunity to deliver some new titles that Kinect fans can expect for the rest of 2011. Will we all care about them? No. Are there sure to be some gems in the midst that will be worth checking out? Count on it. We’ve seen companies come out on the stage before and start laying out the statistics and sales figures before. Even Nintendo has been guilty of it once or twice. I think it’s safe to assume that you can expect Microsoft to open their conference by highlighting the monumental success of the Kinect hardware. They will surely squeeze in some subtle jabs at their competitors, probably Nintendo’s Wii as it is Kinect’s direct competition, and all in all, try to drive home the point that the Xbox is the platform to be gaming on. My only hope is that Microsoft doesn’t let it get to their head and spend a good portion of the conference running down the figures for us. I understand the place for it in the conference, I just think that most people are tuning in to hear what they can look forward to be doing on their Xbox in 2011, not what they’ve already had fun doing in 2010. I’d say this one is almost a lock. 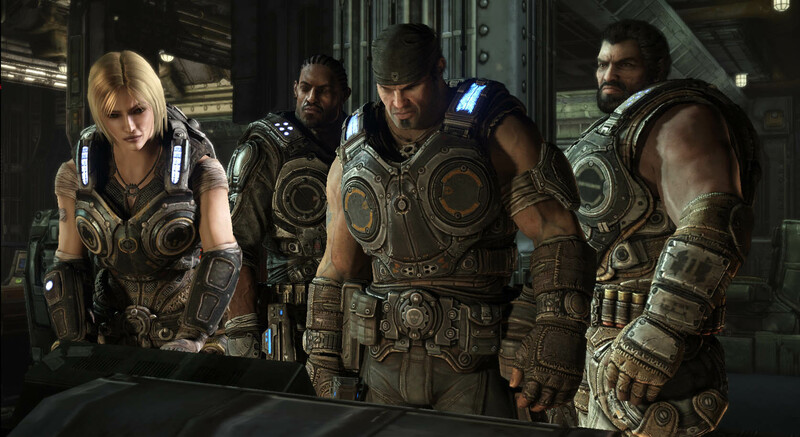 Gears of War 3 is going to be Microsoft’s flagship title this coming holiday season, barring any surprise holiday announcement from them at the conference. Expect Cliffy B to be given a decent amount of time to showcase some kind of spectacular moment from the campaign for everyone to feast their eyes on. This is the perfect opportunity to begin ramping up the hype on this one and I do not see Microsoft dropping the ball by missing out on that chance. If there’s one thing that Microsoft has done far and beyond better than all its competitors, it is their online connected home experience. The Xbox has turned into a sort of one stop shop for all things media, in your living room. Every year at E3 we seem to get some sort of dedicated segment for this where something new gets added on to the dashboard and I don’t think this year will be any different. Whether it is a streamlined dashboard that includes more Kinect functionality or it’s the inevitable showing of Skype running on the 360, Microsoft will almost definitely use some stage time to give us even more reasons to never leave our homes. Call me crazy, but I think Microsoft is cooking up some kind of Halo title, with or without Bungie on board. I think Microsoft will want to end off their conference in a big way, especially with all the hype Nintendo has going into this E3. There are only a few flagship franchises that can get people to turn their heads from a Nintendo console announcement and Halo is one of those franchises. I’m going to hazard a guess and say that Microsoft ends their conference this year with a special teaser video for a new Halo related game or at the very least, some kind of remake of the original Halo, and gives everyone something to chatter about in the days that follow. Just don’t expect it to be a 2011 title. 2012 would be far more likely…unless the world ends. We’ve all heard the buzzing rumors that Microsoft is readying an announcement about their next home console to combat Nintendo’s own announcement. I don’t see this happening at all. Microsoft has a lot of good things going on with the 360 and they’ve also gone on record as saying that this generation’s cycle would be longer for them than the original Xbox was. I think with Kinect having been out for under a year and a fan base that isn’t exactly dying off or anything, Microsoft will hold off on any kind of successor announcement until at least next year. I think the earliest we can expect the “Xbox 720″ is 2013. This is one as I almost put in either category, because really, it’s probably just as possible as it is not possible, but in the end, I just don’t think that Microsoft needs to cut the price of their console right now. I think that come September or October, if they begin to feel like that 360 isn’t going to have as big a presence as they’d like for the holiday season…then maybe, but right now in June, the 360 doesn’t need a price cut. Microsoft will focus on showing all of us why the current price is worth the investment by giving us all a look at a bucket load of software to be excited about in 2011. Last we’ve heard, Rare is busy with Kinect-oriented titles and I don’t think that there will be any kind of major surprise in this realm. 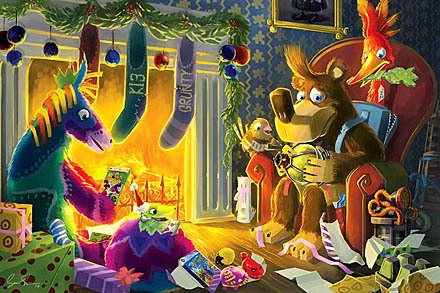 It would be great to see a true Banjo and Kazooie title (That’s right, I’m not counting Nuts & Bolts) or even a new Conker title, but unfortunately, I don’t think we’re going to have the pleasure to witness something so grand. I think the best we can hope for is a Kinect driven title that isn’t simply a mini-game collection, but actually has some depth to it…I’m not holding my breath though. Because stringing us along and watching us squirm is so much more fun for Konami that putting us at ease. One of the things that fans look forward to the most about E3 is the unknown factor. 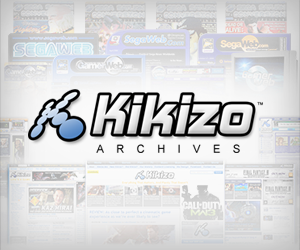 People love the idea that there is some secret, hidden title that is stored away somewhere and will only be revealed for the first time at E3. It’s one of the main reasons that people tune in. 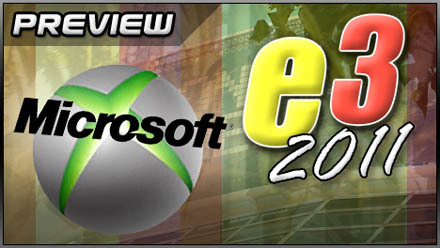 The question is always asked, “What is going to be announced at this year’s E3?” Unfortunately for Microsoft this year, outside of some sort of Halo title that I predicted earlier, I don’t see any major surprises coming out of this conference, when it comes to reveals or announcements. I think we’re going to see a lot of stuff that we already know about, get showcased for the first time, but I don’t expect someone to take the stage and say, “Ladies and Gentlemen…Final Fantasy XV!” My guess is that there just won’t be anything of that magnitude this year from Microsoft, which I think is going to make them struggle to keep themselves in the post-E3 headlines and make their conference remain relevant, because of what Nintendo seems to be bringing to the party. Posted in Features, and tagged with E3 2011, Kinect, Xbox.